Add a little attitude to your ride. 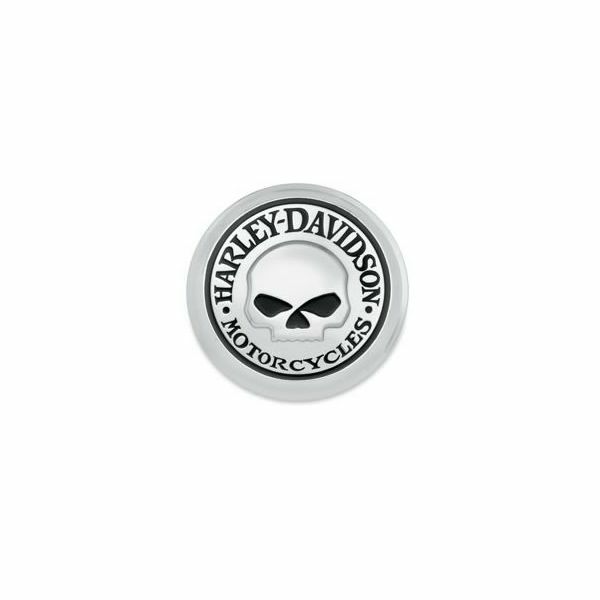 Styled to complement Harley-Davidson® Skull accessory items with a menacing raised skull and black-filled eyes. 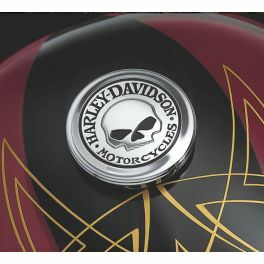 The surrounding "Harley-Davidson® Motorcycles" script is the perfect finishing touch. 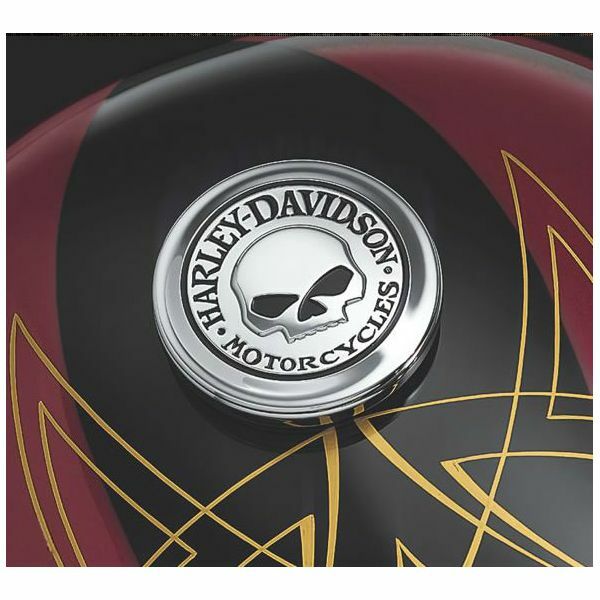 99670-04 fits '83-later models (except VRSC™, '04-'10 XL1200L and XL1200C, XL1200V, '08-later XR, '14 XL, all FXD and FXDX models, '05-'06 FXDC, all FXR with plastic fuel cap, FXS, FXSB, FXSBSE, FLSTNSE, FXST-Aus, Electra Glide®, Road Glide®, Tour Glide, Trike and all fuel caps with gauges).